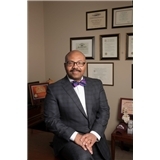 Patrick B. Senatus, M.D., Ph.D. (New York) - Book Appointment Online! Dr. Senatus is a Board Certified Neurosurgeon. He received his B.A. in Biochemical Sciences, Ph.D. in Neurobiology, and M.D. from Harvard University. He completed Neurosurgery residency at the New York-Presbyterian Hospital Columbia University Medical Center, where he served as chief resident. Dr. Senatus subsequently attended the Cleveland Clinic Foundation where he completed a fellowship in Functional and Restorative Neurosurgery. He is especially interested and specializes in minimally invasive Neurosurgery of the spine. Dr. Senatus is a very professional and knowledgeable physician. He was extremely personable, warm and friendly, as was his staff, and I feel fortunate and most comfortable in having him handle my surgery needs. I would not hesitate to recommend him! -M.T.